Cheers to Nick for flagging up the Stax night, showing on BBC Four on Friday 25th July. In truth, it’s two programmes, but both worth the effort. 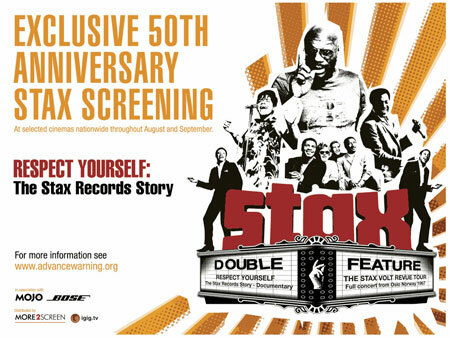 First up is Respect Yourself – The Stax Story, which charts the history of the label, with interviews with all the key players – first shown at cinemas last year. Following that is the Stax Volt Tour of Norway 1967 – a classic concert filmed in Norway during the 1967 Stax tour. More on this no doubt in our TV guide later in the week. In the meantime, check out the BBC Four site.